"I don't know if I sought out bookselling, or whether bookselling sought me out. But when you are hiding from a past that can blow up in your face at any minute, immersing yourself in the stories of others may be a good place to hide." Gina Perini manages a bookstore in one of San Francisco's most lively neighborhoods. Although she thrives in her world of books, her harrowing escape from the war in the Balkans years earlier remains fresh in her mind. There are still those who are searching for her and who are intent on vengeance. Gina suddenly gets news that someone from her past is still alive--someone she had given up hope of finding. This sets in motion a chain of events that will stretch across the country and push her love and resourcefulness to the limit. 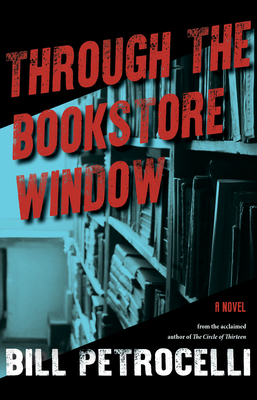 Through the Bookstore Window grapples with the grim effects of war and violence while exploring how love can transcend age, gender, background, and--perhaps--the readers' expectations. Bill Petrocelli is the author of the novel The Circle of Thirteen. He is co-owner with his wife, Elaine, of Book Passage with bookstores in Corte Madera, San Francisco, and Sausalito. Bill is a former attorney with the California Attorney General and previously headed a poverty law office in Oakland. His previous books were Low Profile: How to Avoid the Privacy Invaders and Sexual Harassment on the Job: What it is and How to Stop it.